Question: Shame is the strongest and most hated feeling for a person. People are ready to commit suicide in order not to feel public shame. What is the root of this painful phenomenon? Answer: Oppositeness to the Creator. The first shame and the first restriction came from the fact that the desire to enjoy felt like receiving, which is the opposite of bestowal, the Creator. This is how shame appeared, the so-called feeling of being opposite. Hence, we see that shame is the most powerful feeling that can control any other desire. Question: It is unclear how this is related to the Creator. A person can be ashamed because he disgraced his name or his kind. The Creator is unique, eternal, and perfect. A person who feels shame feels imperfect, finite, and non-existent. Shame not only erases everything in him, but also drives him into total humiliation in front of other people. It is a defeat of our ego, which is worse than death. You don’t even need to kill a man. It is enough to put him in a cage and make him feel humiliated in the eyes of others, unable to justify himself. This is the worst thing. He would prefer death just to get rid of this feeling. This is a real suffering that is prepared for us so that we will come out of our egoism and achieve everything. 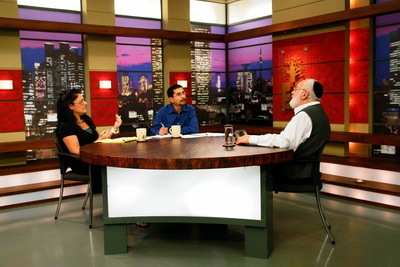 Question: Have you seen such people who are embarrassed that they are not eternal, that they are not like the Creator? Answer: The fact is that a person always justifies himself. Any murderer, any thief, justifies himself in advance. And if someone could not justify himself, he would feel tremendous shame. Question: Do we need to create a society that would knowingly instill a feeling of shame in a person so that he does not do something unseemly? Answer: A person needs shame before the Creator. To achieve this is a great way of correction. If you feel that you are not like Him, this will completely correct you. Question: So, He made me like that. What should I be ashamed of? Answer: This is a good excuse, but it won’t work. Only the feeling that arises in you works. You cannot do anything. We are not ashamed of the Creator because we do not feel Him. He is hiding just to help us. If we felt opposite to Him, we simply could not exist. Question: Does shame before friends help us move closer to shame before the Creator? Answer: Yes, if we begin to build ourselves in relation to our friends in such a way so as to become an example for them, then any opposite state will be felt as suffering and will help us. Torah, Exodus 23:24: You shall not prostrate yourself before their gods, and you shall not worship them, and you shall not follow their practices, but you shall tear them down and you shall utterly shatter their monuments. What is being referred to here is not idol worship of primitive tribes, but about man building the likeness of the Creator within himself. “Shatter their monuments” means to destroy all egoistic desire, all the way to the last level, to the “rocks,” in other words, to the inanimate level. Man must stop using egoism in any of its forms. Initially, when a quality called, for example, Jebusites or Hittites, which had never been experienced before, begins to develop, a person may think that he can move toward the goal correctly with this quality: live in this world in order to grow spiritually. But, later, he begins to discover that this quality is opposite to the spiritual. Moreover, this quality still needs to be developed to such an extent that you grow to despise it: you are ready to do whatever it takes to no longer remain in this guise, in this shell, in this form—that is how completely opposite it is to the likeness of the Creator. Nonetheless, thanks to this, thanks to each of these forms, each of these qualities, each of these “nations,” the form of the Creator is revealed within you. That is how you come to recognize Him from all angles and gradually reveal Him. Only a person who is moving toward the Creator is able to come to despise these “nations” within oneself. Question: Any other hatred is not considered hatred? Answer: No, earthly qualities are not being referred to here, but the people who took on the goal to make themselves similar to the Creator. No matter how grand this sounds, it is still a very difficult job. Actually, the Creator does everything, but identifying all the opposites to Him within yourself to such an extent that you beg Him to correct you, that you must do yourself. “Strike me with a chisel and hammer, cut from me all the egoistic excesses and leave in me only Your image,”—this you need to beg for. Entrance to the upper world: If I can experience sensations of ascents & descents without falling into depression or joy, control opposite states by cancelling myself, giving myself to the Creator, deem these states necessary for my development, that makes me a #spiritual embryo. Dozens of countries have created #TROLL FACTORIES—organized groups of Internet users tasked with and rewarded for manipulating public opinion. The strategy of online manipulation influences elections, advertisement. In the future, it could turn people into zombies. We attain everything by contrast. Presently we’re not opposite to the upper world, so we don’t perceive it. This is why we need “descents”—revelations of the upper world’s concealments, and ascents—its revelation. And so on through the complete #revelation of the upper world. If you rise above the ego, will to receive, the sensation of Time-Motion-Space disappears, as they are qualities of the #ego, and if one stops caring for oneself, one exists above the nature of this world. From there one can unite through the group with the Creator in an Embryo. 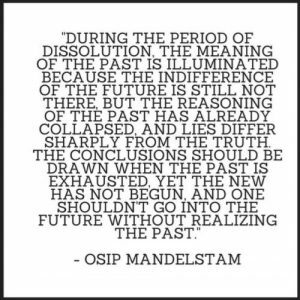 #OsipMandelstam: During the period of dissolution, the meaning of the past is illuminated because the indifference of the future is still not there, but the reasoning of the past has already collapsed and lies differ sharply from the truth. An example of growing #antisemitism: http://bit.ly/antiisraelstudent … Unless Jews start realizing their duty to the nations of the world, being an example and giving a method of unity, the whole world will soon turn to us with hatred. This is nature’s law! Nature is magnetic because it nourishes us like a mother’s milk. It is a very delicate and perfectly connected system. Everything in nature is complementary and harmonious. There is no evil in it!